Stylish blue men shoe with suede and leather details. 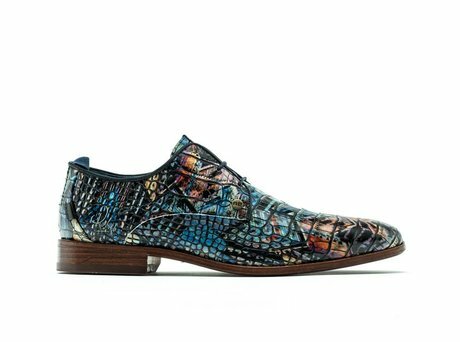 The lizard print makes it one of kind. Stylish low men shoes with lizard print and suede side panels. 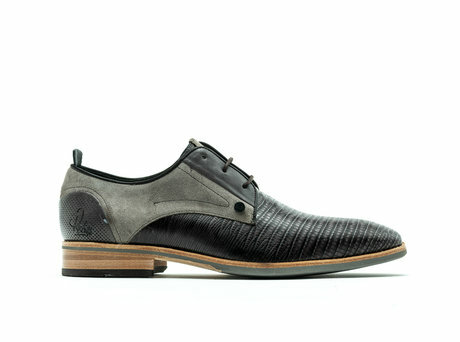 The leather piping and round laces provide a very stylish look. The removable insole and rubber outsole make this classic men's very comfortable. Ontvang direct een e-mail zodra de REHAB GARY LIZARD INDIGO op voorraad is in jouw maat.